According to a flash reading, CPI slowed down in March from 1.4% to 1.3% year-on-year missing the market consensus at 1.7%. The major surprise came from the drop in core inflation – based on partial GUS data. We estimated a decrease in core CPI from 0.8%YoY to 0.5%YoY while the consensus was 0.9%YoY. There is no clear explanation for why prices dropped - strong surprises in core inflation are typically related to communication. Also, transport prices might have provided a negative drag with the cheap import of used diesel cars. Changes in food prices were moderate in March but will continue to be a major driver preventing acceleration in the forthcoming months. We expect core inflation to be constrained in April as scope for acceleration in 2Q18 is limited as well. 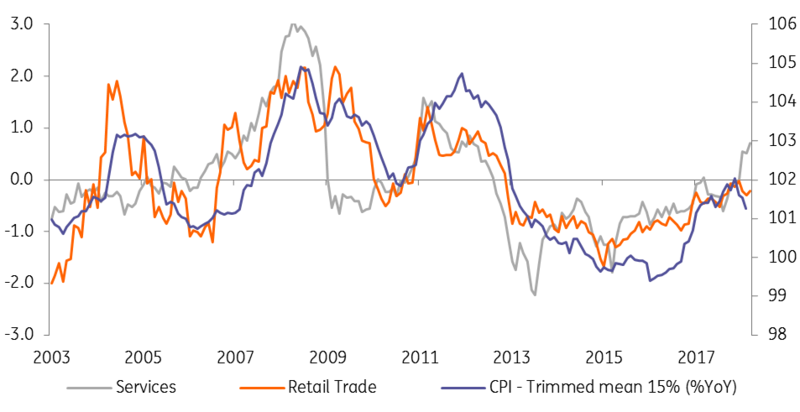 The transmission of strong wage dynamics to higher consumer prices is weak - inflation expectations both from consumers and business provide no evidence of increasing. Also, cost pressures are muted as PPI returned to the deflationary territory with -0.1%YoY reading in February and likely in March. The slowdown of food prices reflects the downward trend visible both across Europe and globally. Shocks which delivered an inflationary surprise in 4Q17 especially the shortage of butter and eggs are fading. Also, statistical effects will be strongly negative in the forthcoming months reflecting low harvest last year due to frostbites. Furthermore, experts from the governmental agricultural agency, KOWR forecast a significant drop of dairy products’ and moderation of meat prices. Overall we expect inflation to remain close to the lower boundary of the National Bank of Poland's target of 1.5%YoY in 2Q18. Such a trajectory should reaffirm the Monetary policy committees' dovish rhetoric. 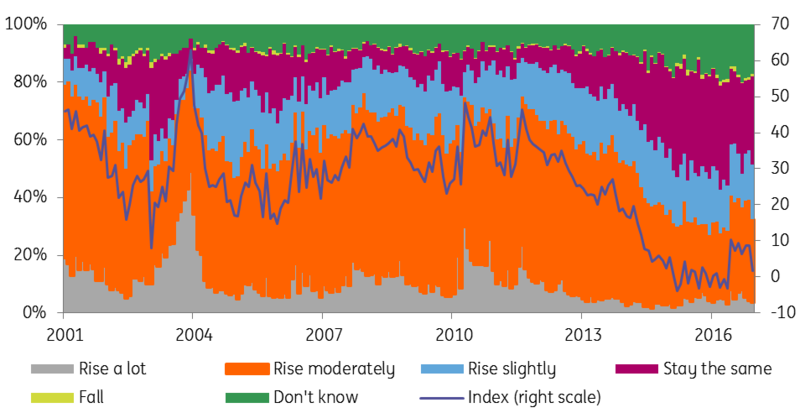 We still forecast rate hike in 4Q19 but risks are clearly skewed to the downside.